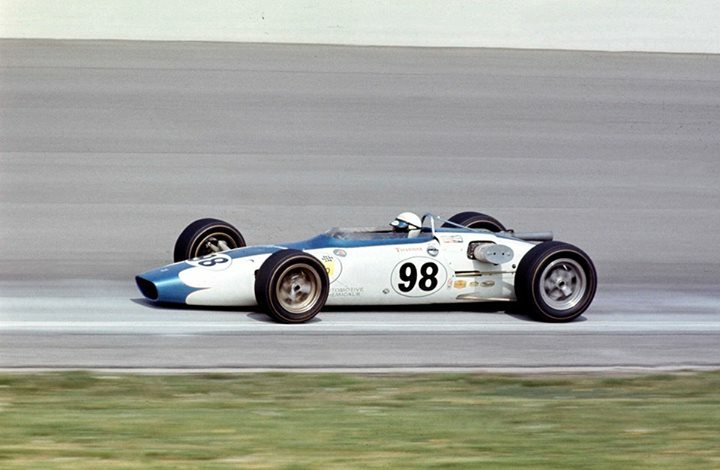 Parnelli Jones, seen here in the Shrike-Offenhauser retired on lap 87 with wheel bearing failure. The race was won by Graham Hill in a Lola-Ford of Mecom Racing Team. As an aside, John Mecom Jr.backed Danica Patrick in her transition from a 15-year old kart racer to be a professional racing car driver in 1998, by providing full financial support and securing drives for her to race in England with help of long-time family friend and Mecom team driver Jackie Stewart. This led to her subsequent involvement with Ford and then Rahal Letterman Racing.